Free Sample of 100% Compostable coffee pod | Free Sample Page! 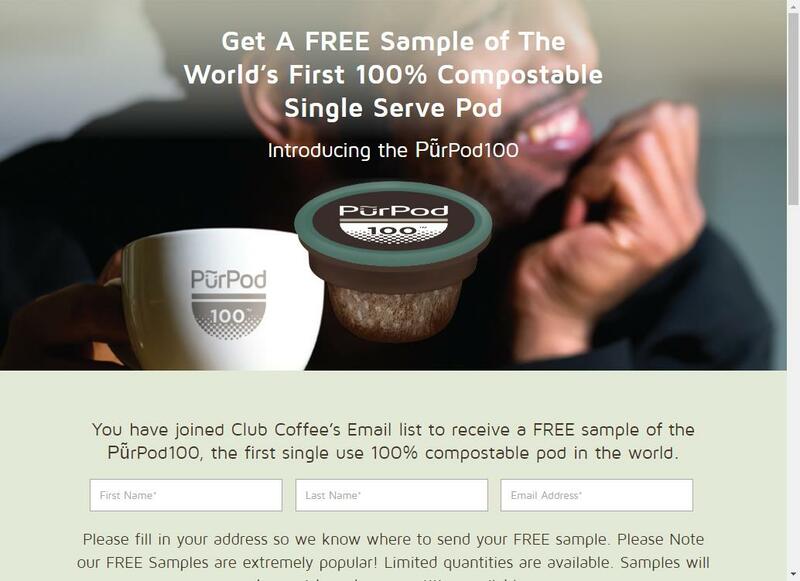 Free Sample of 100% Compostable coffee pod. Compatible with KEURIG 1.0 and 2.0 Brewing Systems.